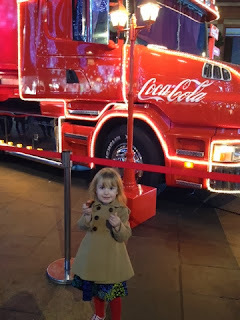 Visiting Santa's Grotto and the Coca Cola Christmas Truck! 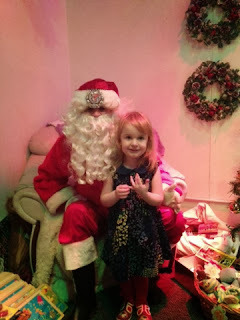 This week we went on an exciting trip to see Father Christmas. Last year Zach was only a few weeks old and we never got round to visiting him so this year was Zach's first visit to see him and well Gracie was only one the last time she saw him. 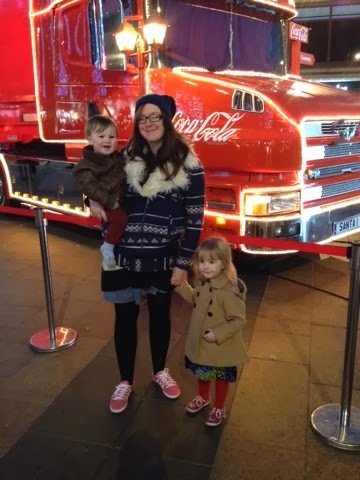 We headed to our local Co-op as they have a fun Santa's sleigh ride that takes the kids to see him in his grotto. We then took a stroll up to see the Coca Cola Christmas Truck that was in our city centre. You can't get more festive than that! 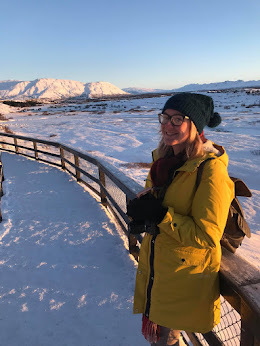 We posed for a few pictures by it and finished the day off drinking White Hot Chocolates in Costa Coffee before going home. 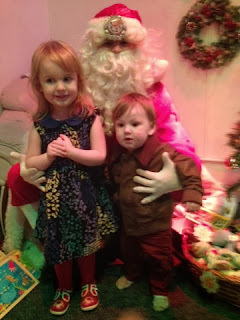 It was the perfect family day with hopefully some magical memories for the kids!